Integrated Iridology – a reliable asset in clinical practice. Presented by Toni Miller ND DHM Int Irid voted IIPA Iridologist of the year 2014. This information comes from Toni’s 35 years clinical practice. Take this opportunity to hear Toni’s teaching style, developed over 30 years teaching of experience. 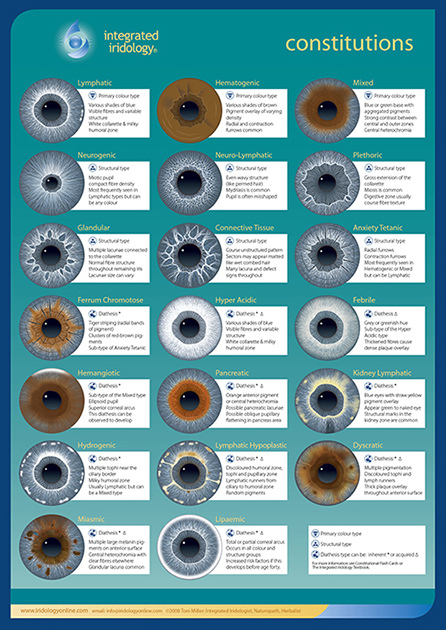 This brief overview will show you the breadth and width of Integrated Iridology. Students have 28 days in which to complete this module. Certificate of attendance with 2 CPE points.